Here at Barclay Interiors our showroom door is always open. It not only gives us the opportunity to show off some of our amazing collections but also discussing interior design options face to face is really valuable when we’re creating schemes around the personality of our clients. That’s why we regularly update our showroom to present the latest collections from our suppliers demonstrating the latest trends in the world of interior design. It’s important for us to be able to offer our clients the most innovative in fabrics, furniture and accessories. It also makes for a great place to work. Being leaders in interior design takes a great deal of training and experience and we are all passionate about our profession. Our design team are surrounded by inspiration throughout their work day so that coming up with eclectic combinations for our clients is second nature. Our latest showroom theme has been inspired by our recent reconnaissance trips – from Paris to Singapore we have spent the last year sourcing the finest products to offer our clients. We are also delighted to be launching our new furniture brand – Stuffed Chair – previews of which, are available exclusively in our showroom. So, make sure you visit our showroom to get your sneak preview ahead of its launch in September. Remember to follow us on Facebook, Twitter, Instagram, Houzz and LinkedIn for all the latest news and if you would like to chat about how we can help you can email us or call us on 01344 626165. 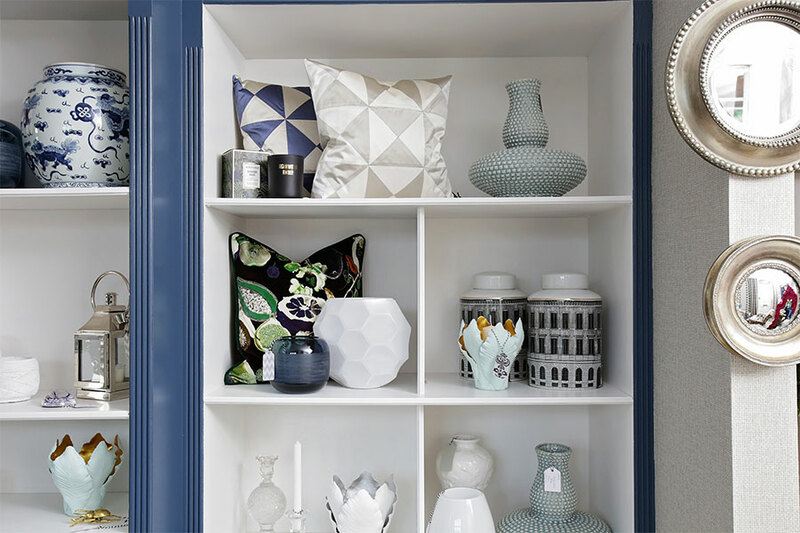 Or, if you’re in the area why not pay us a visit, meet our wonderful team and have a free interior design consultation Monday to Friday 9.30 – 5.30pm / Saturday 10.30 – 4.30pm.